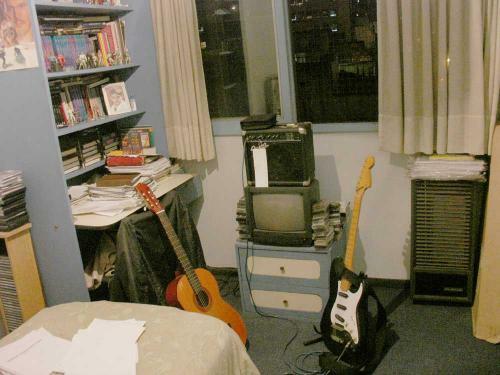 My room, my guitars, my amp, lots of tabs on the bed, pages of my fanzine on the stove. The guitar cable is blue, but it was too long to use inside my room, so it has been replaced by a shorter, purple one. Everybody should make comments about my songs. If you are new: Help. Lots of useful stuff there.